Do you want tickets to the gun show? How about your friends and family? Perhaps they would like tickets? 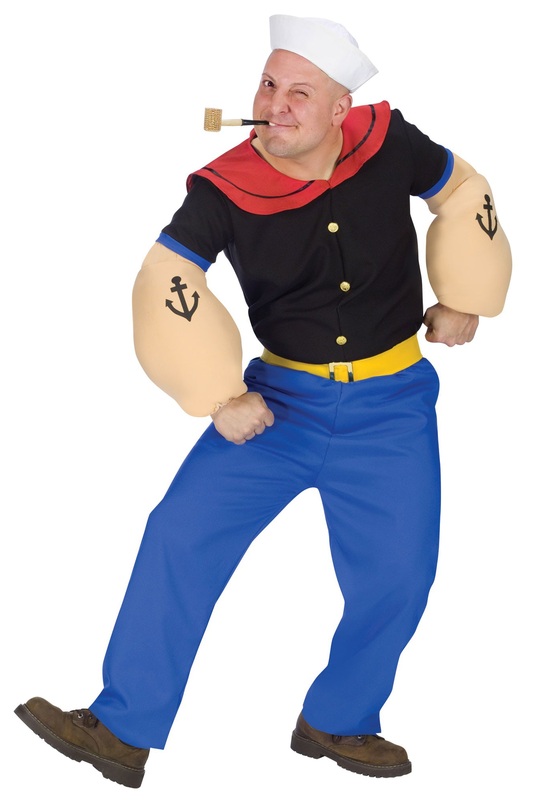 Popeye is the original member of the gun show. Spinach was his secret weapon for his biceps, but his personality was an asset when it came to charming the ladies, especially Olive Oyl. But even Popeye needed a little help when it came to showing off his skills. He wasn’t the sharpest tool in the shed if you know what we mean. He needed an equally dopey nemesis to make him look good. And Bluto was a perfect fit for the job. With some luck and a little muscle, Popeye won the heart of Olive Oyl and captivated audiences of all ages. You'll be flexin' in all the photos this Halloween when you have these bulging biceps on your arms! You can become one of the most famous comic strip characters of all time with this Popeye costume! When you're not flexin’ those muscles you can pound can after can of spinach. It's going to be a long night after all, and whether you're out with Olive Oyl or looking for a new girl, it's going to be a great time! This costume comes with all of the details you need to kick your muscle gains into high gear. 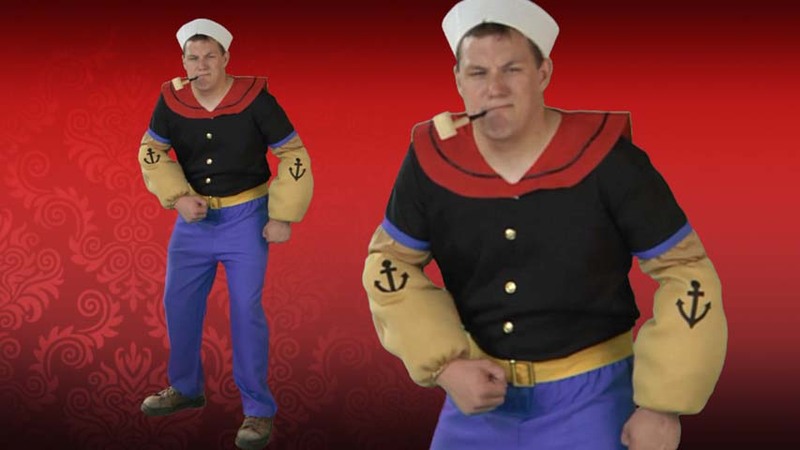 The officially licensed costume starts with the blue polyester pants that have an elastic waistband for a comfortable fit all night long (and, of course, it helps when you find yourself in compromising positions during an alley brawl with Bluto). The polyester black short sleeve top has gold buttons and a red collar, just like the classic character. But the crowing glories of the shirt are the attached padded arm muscles with anchor tattoos that are sure to intimidate anyone you meet. A yellow cloth belt with gold buckle accents the costume and the included sailor hat finishes off the look.